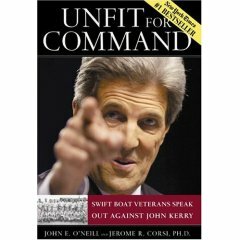 When I first brought it to his attention in September 2005, I reminded Sen. John F. Kerry that — based on the publication date on or about August 25, 2004, of Unfit for Command: Swift Boat Veterans Speak Out Against John Kerry by John E. O'Neill and Jerome R. Corsi — Sen. Kerry had already allowed the one-year statutes of limitations for defamation to expire in Texas (where Mr. O'Neill resides), New Jersey (where Dr. Corsi resides), and the District of Columbia (where their publisher Regnery Publishing, Inc. has its principal place of business and Sen. Kerry has his own regular place of business). But as I noted then, Sen. Kerry's home state of Massachusetts has a very unusual, extremely generous and pro-plaintiff three-year limitations period for defamation claims. Massachusetts' three-year statute of limitations for defamation claims made it the very last feasible venue in which Sen. Kerry conceivably could file suit and gain his public vindication, if the SwiftVets' allegations about him were false. Those claims were certainly, indeed deliberately, injurious to his reputation; his damages arguably include the loss of the 2004 presidential election, however that might be valued in dollars and cents; and if John Kerry could hope to find a home-town advantage anywhere, surely it would be there. But now he's let the incredibly generous Massachusetts statute of limitations run out, too. Seriously, though, Senator, some folks might draw the inference that rather than your having just forgotten the one-year anniversary of the publication of Unfit for Command — oopsies! — you're instead desperately afraid to ever face cross-examination under oath, or [to face] document subpoenas of yourself and your hagiographer Doug Brinkley, or the rest of the brilliant spotlight that accompanies a public lawsuit. Folks might become more and more convinced that you've very deliberately let most state statutes of limitations expire already, and that you'll continue to allow the clock to run on any that haven't yet. So let's drop the snark and call a spade a spade: The very last thing John Kerry wants is to ever give the SwiftVets the legal tools they'd need to conclusively document their claims, because truth is, of course, a complete defense to defamation claims. Kerry doesn't deserve vindication, and he knows he could never get it in court. In court, there would be compulsory discovery of witnesses and documents, followed by a fair and disciplined adversary process, followed by a definitive determination of the truth or falsity of the SwiftVets' charges — a determination that he damn well knows would go against him. Instead, the haze of time and the near-universal bluster of his mainstream media allies (who continue to insist that the SwiftVets' claims were "debunked" and that Kerry was victimized) has given him a far better result than he could ever get in court. You have a standing offer from me: Just sue me here in Houston for defamation. After all, I've republished most of the SwiftVets' claims here on my blog, and I've made many of them again in my own voice. I use a pseudonym for my blog name, but it's not anonymous — my name and address are linked on every page of this blog, and have been since the day it started. I'll waive any statute of limitations defense. I'll waive service of process. Hell, I'll meet you at the federal courthouse doors for the Southern District of Texas, Houston Division (you have diversity jurisdiction), and I'll even pay your filing fee! You think it will be too expensive to have big teams of lawyers? Fine — since you were once a big-time courtroom lawyer, let's just you and me tangle one-on-one, both of us pro se. (I'll agree not to oppose your application for admission pro hac vice to the federal court here in Texas, and I'll even pay the fees to get your law license reinstated in Massachusetts.) Just me at my table, you at yours, and then a set of jurors good and true in the jury box. (I may need a napkin, though, or maybe even a drool-bucket, because the very notion of going one-on-one with you in court is causing me to salivate.) Or, hell, you can have as many lawyers as you want, and I'll still go pro se. Go fetch David Boies, he might do it for free (unless he's already figured out what a loser your case would be). Whatever. As long as there's a judge who can make you shut up each time your turn is over and who'll then give me a fair turn, I'll be satisfied. My one stipulation is: No confidentiality orders, and no motions to quash. Everything that's uncovered in pretrial discovery has to become part of the public record without delay. We'll put it all on the internet via a neutral host (say, the WaPo). We'll do the pretrial depos on video, too, and jointly move the court to permit TV coverage of the trial, so that the public (and the jury, eventually) can see who sweats under oath under the bright lights. Doesn't that sound like fun, Senator? Gosh, it does to me. Nice try Beldar, but pigs will fly before Mr Kerry opens his personal files to public scrutiny. I'll bring the popcorn. I would take time off from work to see that case. And I want to add that the date for filing for the Presidential election has not passed yet, either! Come on, John, jump into the race... the Dems need a war hero this time too! Don't deprive your party of the chance to once again be led by a leader of men! I know you don't want help, but I'd happily do any research you want. I may not be a litigator, but I still remember how to use Westlaw and Lexis. After all, the term "swiftboating" has entered the lexicon as a smear campaign and a synonym for dishonesty. Jadegold: Gosh it's been a long time since you commented. Hello again, and thanks for proving my point. Kerry and his surrogates loudly insisted that he was being defamed when the SwiftVets first appeared. Indeed, the Kerry campaign threatened to sue the TV stations that agreed to run the SwiftVets advertisements. But Kerry never sued. An honest man whose name was wrongfully impugned would have sued in order to clear it. A coward would have continued to hide behind partisan allies' and mainstream media's obfuscation (of which, your comment is illustrative) and stay far, far from any courtrooms, where compulsory process to compel production of documents and witnesses, solemn oaths, and procedural rules guarantee that issues can be examined thoroughly and fairly. You say Kerry won't "bother"; I say he won't "dare." The true reason for both is the same: The man's a fraud. And having been detected as such by enough of the American public to ensure he would lose the presidential race in 2004, he'll never, ever again risk rigorous examination of his military record. "why should kerry bother?" well, what about the little matter of his good name and character. no,the reason he wont bother because he is a lying coward!!!!! Indeed, Jadegold, it has become a synonym for dishonesty. But that is because people like you continually lie about the events of the Swiftboat Vets for Truth and John Kerry. provide one? One from his campaign? His campaign, on behalf of John Kerry, not just a sympathetic writer or consultant you want to label as a "surrogate." Also, could you provide a link showing that the Kerry campaign "threatened to sue the TV stations that agreed to run the SwiftVets advertisements" ? I thought it was just letters sent about the Carlton Sherwood movie. But I could be wrong, so...links please? While the first link is not exactly what you were looking for (who the hell is an 'inner circle' source anyway), the second looks genuine. Interestingly enough I think Kerry could win such a claim in Suffolk County. It's a very liberal jurisdiction. His problem is discovery. Jane, you're dead right. Discovery of why his citations on his medals were signed by a later Secretary of the Navy, and a final view of why a Navy Review Board granted him a discharge, years after he should have originally had one, would be fatal, and show him up to be the liar he is. So "swiftboating" is the new "Winter-Soldiering?" Obviously, if something can change once, it can change again. Gkong3, thanks for the links. The first is the same sort of problem, an anonymous quote floated by Newsmax via a gossip column. I agree that the "inner circle" source could be anybody, including his tailor. The second is helpful, thanks. Even though the DNC lawyers drop some pretty strong hints about stations' legal culpability for running libelous material, they never actually threaten to sue. But I would agree that the station owner would sure see it as a threatening letter. Thank you for noting this. You are right about Kerry. To me, "swiftboating" means exposing the lies, dishonesty, and posturing of a public figure. I guess its definition depends on ones political bent. Well Beldar, you'll never be famous on your own so I guess you should give this a shot. I admit I have an unfair advantage over Hinderaker when it comes to the Swift Boat topic. Namely, I’m familiar with the details. He apparently is not. In preparation for the ad, French, a senior deputy district attorney in Oregon and registered Republican, signed a sworn affidavit for the Swift Boat Vets asserting that Kerry received his Purple Heart "from negligently self-inflicted wounds in the absence of hostile fire." A fundamental requirement of any affidavit is that the person signing it must have personal knowledge of the matters involved. In fact, the affidavit French signed declared, "I do hereby swear, that all facts and statements contained in this affidavit are true and correct and within my personal knowledge and belief." (Emphasis added) But in an interview with The Oregonian newspaper of Portland, French freely admitted he had no firsthand knowledge of the events surrounding Kerry’s medals and that his information came from secondhand accounts from "friends." Boehlert has either maliciously or ignorantly MISQUOTED French’s affidavit relegating his entire "Al French" analysis into abject smear territory. So much for Boehlert’s self-proclaimed "familiarity with the details." This information was posted in the "comments" to Boehlert’s article but, to my knowledge, Boehlert has yet to issue either a retraction or a correction to the bogus "facts" he published. But that is because people like you continually lie about the events of the Swiftboat Vets for Truth and John Kerry. I think the whole point of this post is to answer such assertions with "put up or shut up". Three guesses which Kerry will do. I was so impressed with your post that I guest-posted on it at Patterico's. That's the good news. The bad news is I don't know how to do a trackback, so I'm leaving this instead. Just call me internet stupid. Put yourself before the court, citizen. Because, as we all know, no one has anything to fear from the courts unless he or she is at fault or has done something wrong. And, of course, every citizen should and does sue any other citizen he thinks has said something mean, speculative or erroneous about him--as seen in Cheney vs. Keith Olbermann, Bush vs. Bill Maher and John Edwards vs. Ann Coulter. Or maybe John Kerry lost, the damage was done and he's got nothing to gain by suing these guys (they certainly don't have enough money to affect his balance). Or maybe he's just a sissy who doesn't like a fight (quite possible). Either way, if Kerry's refusal to sue somehow vindicates the SBVFT's claims, then Kissinger's refusal to sue Christopher Hitchens clearly affirms the latter's supposition that the former is a "loathsome, little gargoyle." No matter what the facts would show, it would be foolish for Kerry to pursue a defamation lawsuit, and I am not surprised that you were unable to uncover an actual quote in which he said he would. Defamation lawsuits are extremely tough for a public figure like him to win, especially on matters of public controversy. At best, he would spend a lot of money to win a little money, which he doesn't need. People who care about this issue already have made up their minds about it, so it's doubtful that a legal verdict would change many minds either way. Public figures are regularly defamed but almost never sue. To assume that their failure to act means the defamation is accurate is a huge stretch. Did you or the Swift Boat Liars ever file a defamation of character lawsuit against the many, many sites that exposed the cowardly and unmanly Swift Boat Liars and the fraudulent, lie-ridden, anti-Kerry book titled "Unfit for Command: Swift Boat Veterans Speak Out Against John Kerry"? Guess not, the accusations must be true by your logic. Mr. Denton and Steve: To be actionable in most states, a false statement injurious to the plaintiff's reputation must be regarding a matter of objective fact, not a matter of opinion. "Cowardly," "unmanly," and probably even "lie-ridden" are likely to be interpreted as statements of opinion, for instance. But while Unfit for Command contained its fair share of opinions, it also contained many, many objective statements of fact that Kerry's supporters and campaign insisted were false. Here and elsewhere, I've been called many rude names and my opinions have been vigorously disputed. I'm unaware of having been subjected to a false, non-parody claim of objective fact that has damaged my reputation. So I've never had occasion to consider suing anyone for defamation, whether on issues arising out of the SwiftVets controversy or otherwise. Mr. Crisp: In my comment above about "Kerry and his surrogates," I was careful to be accurate in attributing the threat to sue the TV stations to Kerry's campaign, and that is indeed whence it came. However, I have also argued, and continue to assert, that it is fair to impute those threats to the candidate personally, since he did not disavow them, fire the lawyers who made them, or otherwise disassociate himself from them, and since they were speaking with at least his apparent authority as the head of his own campaign. Kerry himself was famously silent during August and September 2004, pretending that responding to the SwiftVets directly was beneath his dignity. Some on the left have claimed that that was a fatal mistake, and that he should have engaged his critics earlier and more directly. On many of the key elements of the SwiftVets' assertions, however, Kerry himself to this good day has failed to engage them. You'll seek in vain, for example, for details from Kerry's own mouth regarding his one (or quite possibly two) trips to Paris to meet secretly with the enemies with whom his fellow Swift Boaters were still in active combat. You are absolutely correct that as a public figure, Kerry would face the hurdle of proving "actual malice" under N.Y. Times v. Sullivan. Given, however, that the SwiftVets' stated intention was to deliberately injure Kerry's reputation by, in their view, exposing the true factual history of his military record and anti-war activism, precisely so that he would lose the election for the office they deemed him "unfit" for, that would not have been much of a problem. Showing "intent," in other words, would have been the easiest part of Kerry's case, since the SwiftVets not only admitted it, but trumpeted it. The First Amendment defense of N.Y. Times v. Sullivan is for defendants who basically admit they made a mistake and that their statements were untrue. But the SwiftVets have never backed off from their position that their principle claims about Kerry are indeed truthful. Showing damages would likewise have been comparatively easy for Kerry (although like all reputational damages, quantifying them is speculative). The hard part — I believe, "impossible" part — would have been showing that the SwiftVets' statements were false. Kerry himself was famously silent during August and September 2004, pretending that responding to the SwiftVets directly was beneath his dignity. Perhaps my memory fails me Beldar, but I don't recall Kerry, himself, responding directly nor exposing himself to direct media interrogatory during October or November either. Nor did the media appear to be particularly anxious to grill him on the details. As much as I detest Kerry for his Winter Soldier lies and slander, if *he* truly was defamed by falsehood by the SBVT, then he should pursue a tort against the group. It would (uncharacteristically, for him) strike a blow on behalf of veterans. And (uncharacteristically for me), I would support him. Most likely retrospectively, after a judgement is rendered. Beldar, take it from this resident of the Commonwealth of Massachusetts-- if there is media coverage, Senator (Liveshot) John Kerry will be all over it. :) You offered a good challenge, but you did not tell him which news stations would cover it. Beldar, this is one of my favorite posts of all time. Brilliant! I'd hop on a Southwest flight to come watch. Thanks for standing for the truth... you are giving Lawyers a "bad" name. Also... John Kerry(D) has still NOT released his military records that would explain why he needed an honorable discharge from Jimmy Carter(D) so many years after his actual discharge. Actually, the records that have already been released answer that question. And that point was proven at this very site before the election: Commenter Roger W Helbig posting on BeldarBlog. Itsme, I'm delighted to have folks link to not only what I've written on my blog, but also to what my commenters have written; that's one reason I set my software up to give each comment its own permalink. However, I've edited your comment just above, which originally just said "BeldarBlog," to make clear that what you've linked is actually something written by a commenter (Roger W. Helbig), not by me. I didn't, and don't, agree with his long chain of arguments. Disagreement, civilly expressed, is welcome here, however, and I'll let readers who choose to wade through Mr. Helbig's comment decide whether they agree that it's "proof" of anything in particular regarding Sen. Kerry's discharge status. That's a topic of sufficient complexity that I don't choose to reopen it myself in comments to a post about statutes of limitation and possible defamation claims; and many of the links run to Sen. Kerry's website, from which (yet again) source documents have been purged, so it may be kind of hard to follow. Damn, it do, don't it! Pardon me for inserting a mundane question, but I wonder about the statement "a very unusual, extremely generous and pro-plaintiff three-year limitations period for defamation claims." Is it unusual? Do most other states have a shorter statute of limitations on tort claims? And the statement suggests that the SOL is unusual for defamation claims only. It is just another tort, no? Now then, nobody --NOBODY -- sentient who has lived in Massachusetts for more than a year believes that John Kerry is capable of intellectual honesty. This is no surprise for us. "After all, the term 'swiftboating' has entered the lexicon as a smear campaign and a synonym for dishonesty." That's pretty rich, coming from a person whose ISP once tossed him for knowingly accusing an innocent man of being a wanted murderer, in Usenet. Not to pile on or anything, but on the web 'Jadegold' has been a synonym for vicious dishonesty and stupidity for at least 3 or 4 years now. "Here and elsewhere, I've been called many rude names and my opinions have been vigorously disputed. I'm unaware of having been subjected to a false, non-parody claim of objective fact that has damaged my reputation. So I've never had occasion to consider suing anyone for defamation, whether on issues arising out of the SwiftVets controversy or otherwise." But that fails horribly in addressing the fallacy (and lunacy) of your your central point: that failure to sue is an admission of "guilt." I can think of a thousand other reasons why a theoretical person (especially a theoretical politician) would decide not to sue someone whom he thought he could sue successfully. I once ate a Gorton's breaded fish and found a hook in it. I'm sure I could have sued. I didn't. That doesn't mean the hook wasn't there. I once had a Jeep that spontaneously burst into flames while parked. Insurance got me a new car, but I could have sued Jeep for putting me in danger. I didn't. That doesn't mean the Jeep didn't burst into flames. Maybe I'm just not as lawsuit-happy as some. Wavemaker, it is very common around the country for states to have shorter statutes of limitations for defamation claims than for other tort claims. One year is typical for defamation claims. Two or three years is typical for other torts. This reflects a public policy that disfavors plaintiffs who might "lay behind the log," allowing their reputational damages to continue to mount, without turning to the mechanisms offered by the law to clear one's good name. And it's nothing new — most states have had shorter limitations periods for defamation cases for many decades. Steve: I actually agree with you that in general, there may be good reasons for not suing, even when one has a valid claim. Did you swallow the fish-hook, though? If not, you probably have no substantial damages. Kerry was damaged by the SwiftVets' allegations; many observers believe the SwiftVets' campaign may in fact have cost him the presidency, but even short of that, it would be easy enough to show that his overall reputation suffered. I'm glad you didn't burn up in your Jeep; but you did sustain damage to your property, and even though you weren't obliged to file a lawsuit to recover money to compensate you for that property damage, you [i]did[/i] act to protect your contractual and legal rights. Kerry ... didn't. Did you hire teams of high-priced lawyers to send threatening letters to Gortons? Kerry's campaign did hire such lawyers, who did send such letters. Implied in their letters was a necessary conclusion on Kerry's part that pursuing litigation would be worthwhile if the letters were ignored; you can't simultaneously send such letters and contend, "Oh, this is a trifle, of no matter to me or anyone else." In fact, most of the TV stations did broadcast the ads, despite the threats, thus multiplying Kerry's damages. Are we to now believe that he suddenly became indifferent and uncaring? Or does it make more sense to believe that he failed to make good on his threats for other reasons? Kerry, through his second marriage, at least has access to the lifestyle of the incredibly rich. Even if he were unable to find counsel to represent him on a contingent fee basis — and there's some mullet out there who would have, if only for the fame aspect rather than the prospect of a recovery — he could easily afford to pay counsel on a regular hourly-rate basis. Or he might very well be able to find lawyers to represent him at no cost, lawyers who would view themselves as acting "pro bono publico," as they define the public interest. In any event, cost — normally a deterrent to bringing suit — was not likely a factor in Kerry's decision. Kerry didn't retire from public life, and he's refused to rule out the possibility that he might again run for president someday. The SwiftVets' charges will be used against him again in any future campaign, even if only for re-election as senator; yet he's deliberately thrown away forever the opportunity to rebut them using the mechanisms of the civil justice system. My argument ultimately depends on a logical inference. I think it's a compelling one in these circumstances, but if you are unpersuaded, that is, of course, your prerogative. Double-barreled accolades for this one, Beldar, especially the entertaining gauntlet. Without your watch, this expiration would have escaped all notice. As I understand, in a defamation action such as this one, the plaintiff Kerry would have to show, not only that the statements made were false, and that they were made with intent to harm, but that they were made with "reckless disregard for the truth" or with actual knowledge that the statements were false. It is almost impossible for a public figure like Kerry to prove such things. The only person I can think of who was famous and won a libel suit was Carol Burnett, against an "Inquirer"-type tabloid (which, I think, said that she was Eva Braun's love child or something equally bizarre). I would be sympathetic to having the Senator prove that he actually was defamed, but, judging from the Westmoreland-CBS trial, so many rumors, opinions, innuendos, half-truths and half-facts would be revealed that Senator Kerry's actual war record would be lost in the fog. Mr. Brown: I've already addressed the N.Y. Times v. Sullivan issues in a comment above. I don't think they would have been a serious hurdle, for the reasons I've already explained, had Sen. Kerry chosen to sue the SwiftVets. But let's make it even easier: It's a defense that I'll waive, if Sen. Kerry chooses to sue me. As for the Westmoreland v. CBS trial, the reason you remember it having produced only an inconclusive fog is that it was never properly concluded. Instead, it settled mid-trial; there was no jury verdict; both sides "claimed victory," but neither actually got one; and both sides therefore ended up looking somewhat foolish. By settling, Gen. Westmoreland forfeited his chance to have his reputation vindicated by the jury, and he very arguably ended up harming his reputation as compared to how he might have otherwise been remembered had he not filed the case. That may speak poorly of him and/or his lawyers, but it is not a fair indictment of the civil justice system as an engine for getting to the truth. It's not a perfect system, but it is by far the best system every invented for that purpose. EHeavenly, and others: Thanks for the kind words. I've actually had this post written for many, many weeks, just waiting for the three-year anniversary of Unfit for Command to release it. In libel cases, "actual malice" refers to the publishing of material that is false, defamatory and shows "reckless disregard for the truth." The fact that you wanted Kerry to lose does not constitute malice; that's just politics. Even as you stipulate that you are willing to spot Kerry a malice claim, you deny reckless disregard of the truth, which raises a malice defense. You are having it both ways, which just highlights how hard it is for public figures to win these cases. Beldar, thanks for fixing my hyperlink to reflect the source of the comment. I certainly do think Mr. Helbig's comment, even if hard to read, is valuable even now. As far as I know, no one else has bothered to get the original BUPERS regulation upon which Kerry's 1978 discharge was based. Instead, countless bloggers and commenters have chosen to speculate on the nature of Kerry's discharge based on ... well, their speculation on the regulation. PS, I understand that Mr. Helbig's comment was not "on point" re defamation suits. But it was "on point" regarding a couple of comments made on this thread, and that was my intent in posting it. A quick look at Wikipedia confirms (if that's the right word) my memory that Carol Burnett sued when she was described as publicly drunk. Henry Kissinger testified on her behalf. Her parents were both alcoholics, so she was quite sensitive to that particular charge.